For FREO, 2017 was an exciting and transformative year. 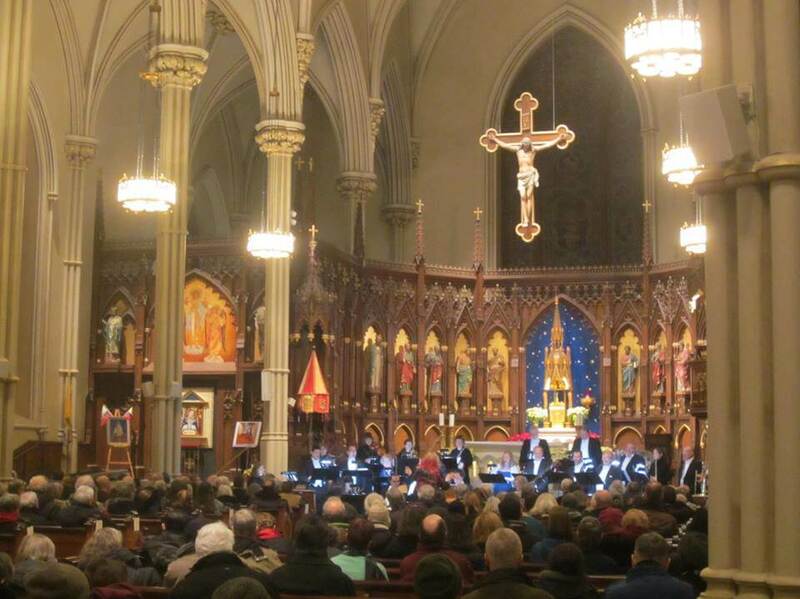 We capped it off in December with special concerts and events that highlighted the Erben organ and the Basilica’s fine acoustics. Here are some of the spectacular concerts from December, which brought thousands of people to hear some splendid performances. 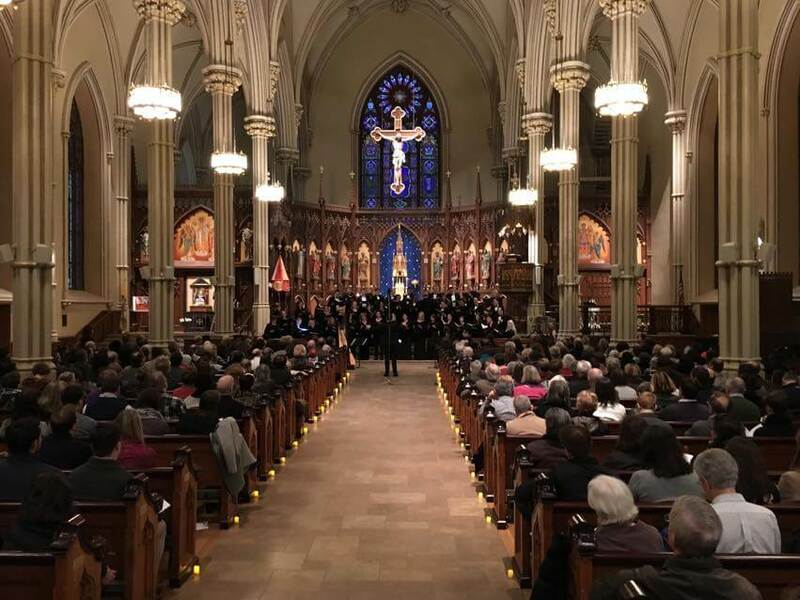 On Saturday, December 2, 2017, at 8 PM, the Young New Yorkers’ Chorus (YNYC) performed its Mixed Ensemble Christmas Concert at the Basilica. 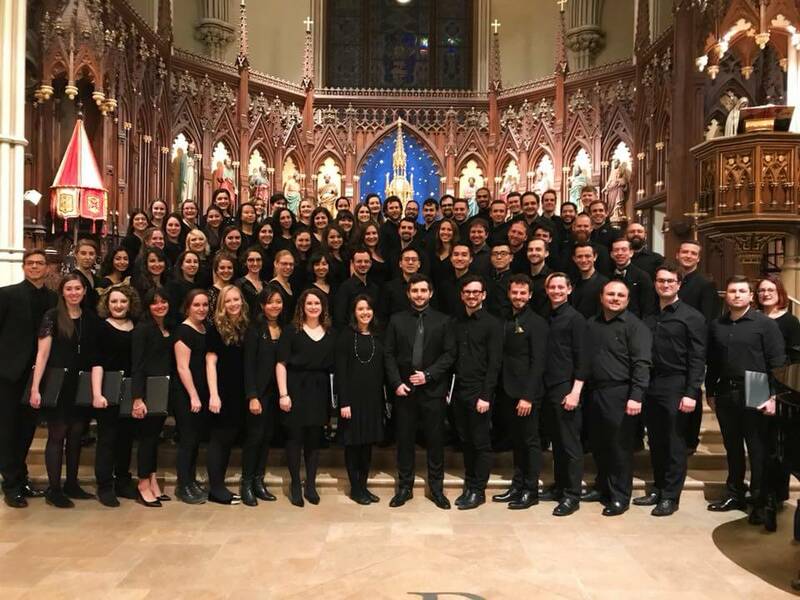 The YNYC brings together the finest choral musicians from the tens of thousands of young people who flock to the city for its excitement, art, and culture. 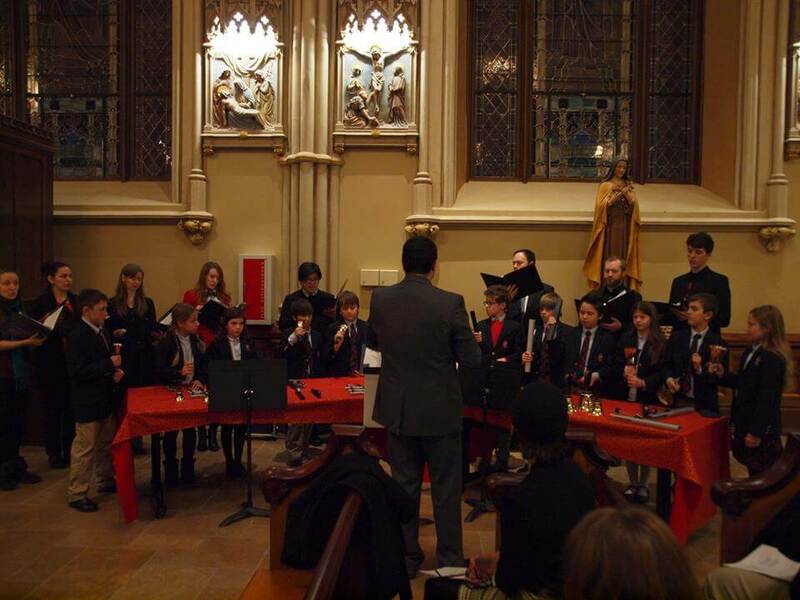 Conducted by Michael Kerschner, the YNYC fosters the art of contemporary choral singing among young people. The Chorus performs works by classical composers as well as those of contemporary young composers, exposing listeners of all ages to the beauty and transcendent potential of the choral arts. On Sunday December 3, at 4 PM, Amor Artis presented “An Amor Artis Holiday,” under the artistic direction of Ryan James Brandau. 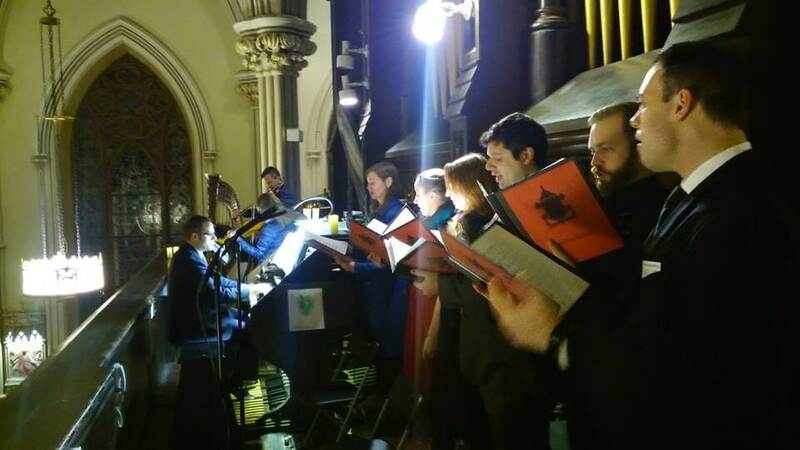 The choir, combined with trumpets, harp, English horn, alto saxophone, and the great Erben organ, performed works from the Middle Ages and Renaissance, as well as contemporary choral gems and lush original arrangements of holiday favorites like O Holy Night and Auld Lang Syne. 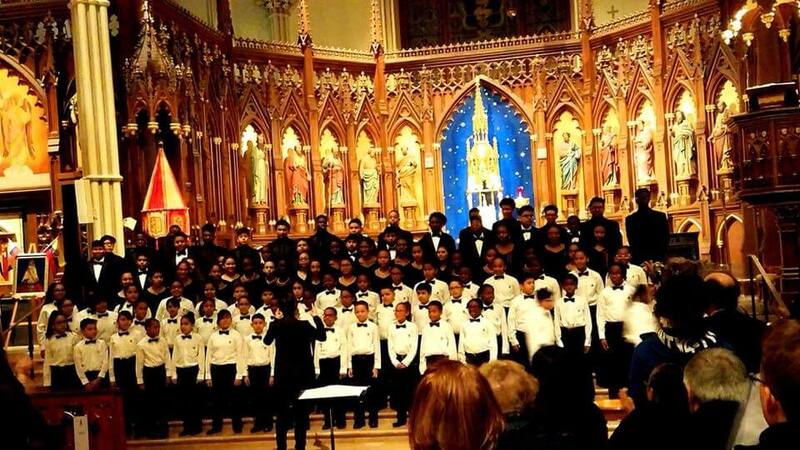 On Thursday, December 7, 2017, at 7 PM, Highbridge Voices, a children’s choral program co-founded by Basilica Pastor Msgr. Donald Sakano 25 years ago, performed a Winter Concert, a medley of music culled from the Advent tradition. Highbridge Voices is an afterschool program designed to inspire academic and musical excellence in the lives of children. The organization serves the Highbridge neighborhood in the South Bronx, a community just north of Yankee Stadium, historically one of the most impoverished Congressional Districts in the United States. The performers consisted of the Highbridge Voices Concert Choir, 70 children ages 9-12; Highbridge Voices Chamber Choir, 50 children ages 12-18; and Highbridge Singers. 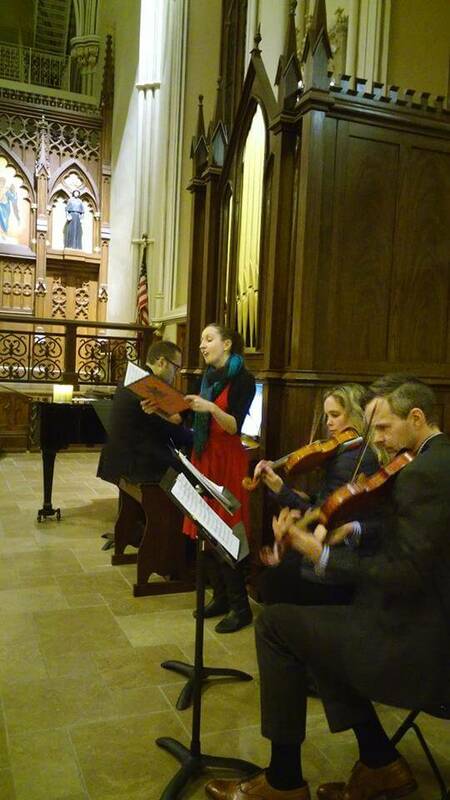 Music of the season was performed in Latin, German, Sanskrit, Latvian and English. After the performance there was a reception in the Youth Center for the children, their parents, teachers and guests. 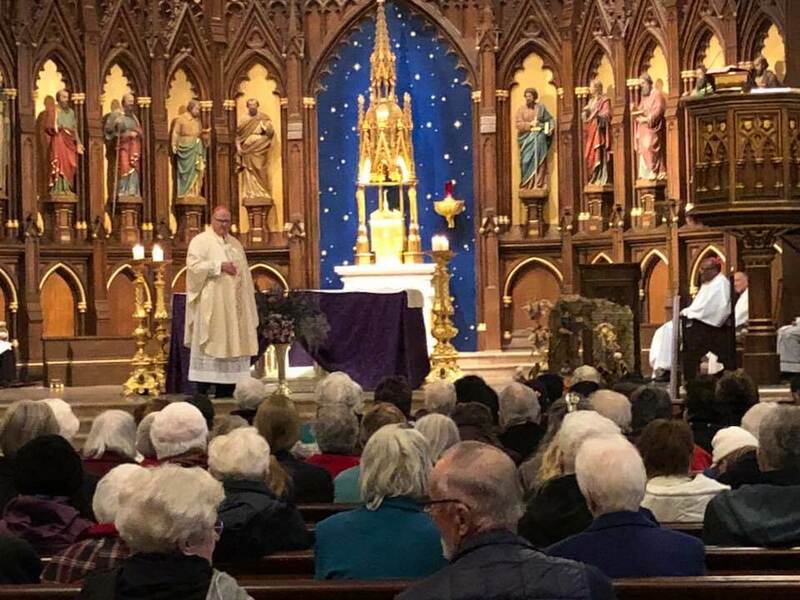 On Saturday, December 9, 2017, at 11 AM, there was a Mass that capped off the Sisters of Charity 200th Anniversary Year, with Cardinal Dolan as celebrant and homilist. In the early 19th century, the very young congregation of the Sisters of Charity started their work in New York at the corner of Prince and Mott, caring for orphans, just steps from the Basilica. Their orphanage quickly filled with the impoverished orphans of immigrants and their work would expand to include education, health care and other ministries, with special devotion to the poor. On the snowy morning of December 9th, they returned to the neighborhood where their story started in 1817. The Mass was broadcast by live streaming to the residences of Sisters of Charity who were unable to attend. 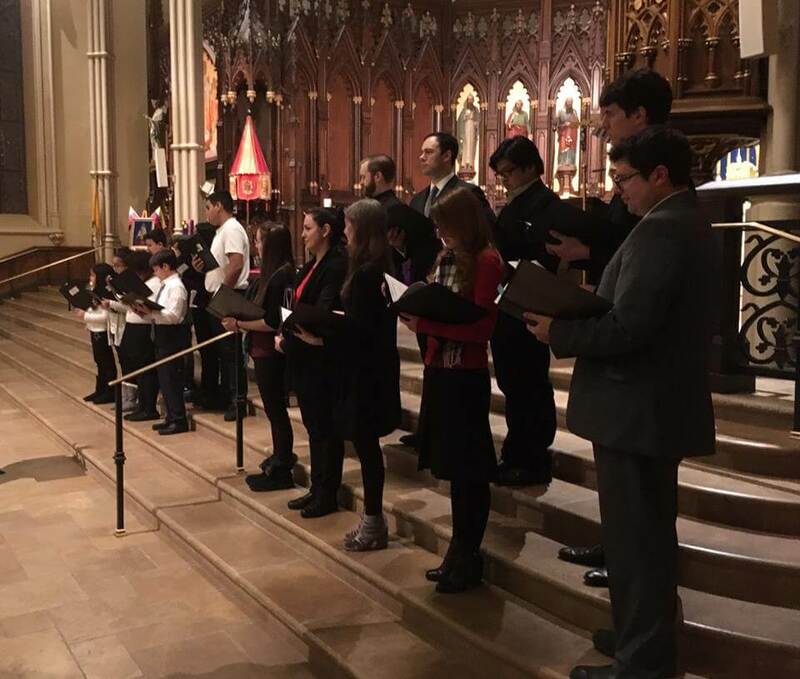 On Sunday, December 10, 2017, at 5:30 PM, the Basilica Schola, Basilica Voices, and the Handbell Choir of the Academy of St. Joseph joined forces in a beautiful Concert of Lesson and Carols, a service of scripture and carols, announcing the coming of Christmas. In the service we listened to excerpts from Handel’s “Messiah” and other choral masterpieces. 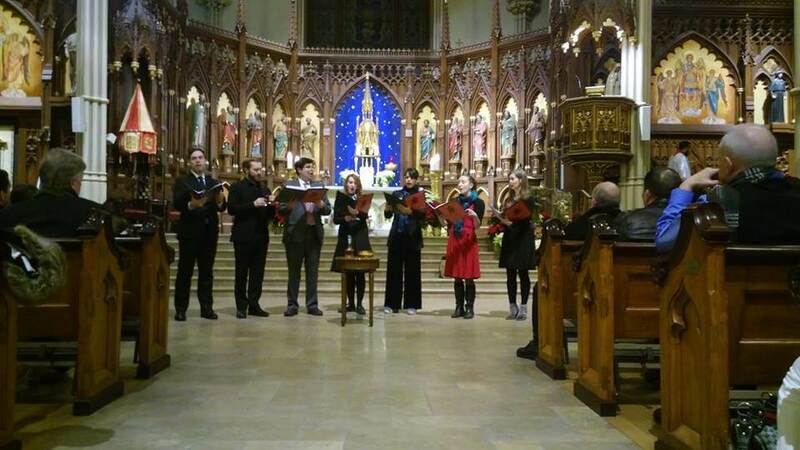 The Schola is the Basilica adult choir, which provides a forum for parishioners to give glory to God through music. Basilica Voices is the children’s choir, which meets as part of the Family Religious Education program on Sundays. Lessons and Carols was followed by Mass and a reception in the Parish House.